Volkswagen Commercial Vehicles’ all-new Crafter has claimed another ‘Van of the Year’ award, with leading consumer motoring title Auto Express giving it the top van accolade and praising its quality and comfort in its annual awards. The all-new Crafter, which made its UK debut at the CV Show in Birmingham in April and went on sale in May, has picked up a host of awards since it was revealed last September. Built at an all-new factory in Wrzesnia, Poland, and designed from the bottom up to meet the needs of van operators, it is available with a variety of different powertrains, drivetrains and capacities, offering maximum flexibility, and with a comprehensive suite of innovative technologies. 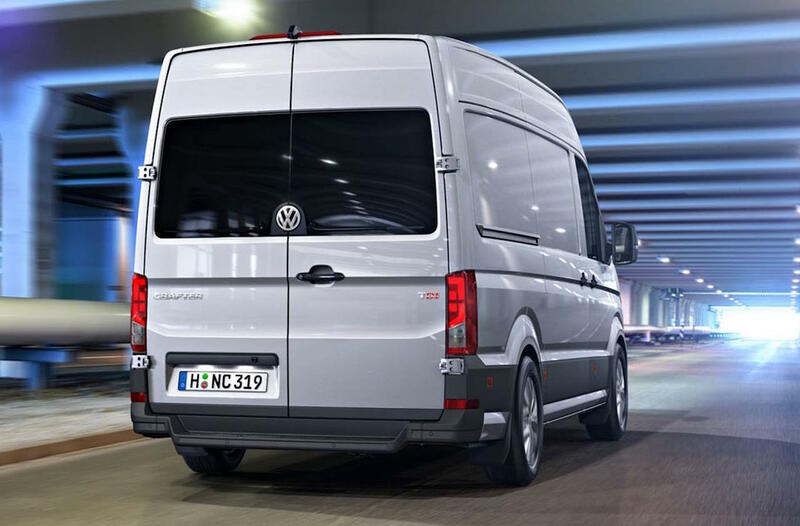 As on all Volkswagen vans, the Crafter comes as standard with autonomous emergency braking and automatic post-collision braking systems – a first in the van sector. Even prior to its launch the new Crafter had picked up a number of prestigious awards. 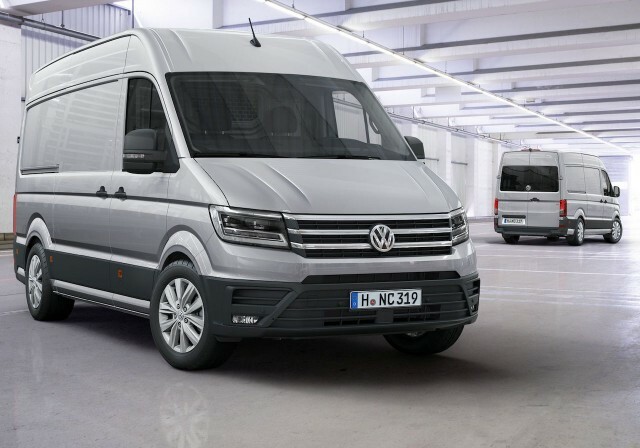 In September 2016 it succeeded the Transporter to be named International Van of the Year, as voted for by a panel of commercial vehicle journalists from 24 European countries. It was also named Best New Van by leading commercial vehicle publication Van Fleet World in February 2017; it picked up the Vans A2Z accolades of Best Large Van and Van of the Year in March 2017, and won Trade Van Driver’s Van of the Year and Best Large Panel Van awards. By collaborating in sustainable transport and logistics solutions, Scania and HAVI, a global supply chain solutions provider, are actively addressing global climate goals. 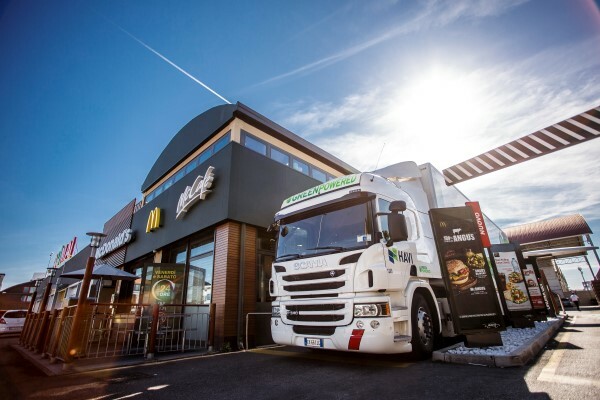 Beginning quarter three, HAVI and Scania will start to implement a five year roadmap aimed at making a significant carbon footprint reduction in transport operations to and from McDonald’s restaurants in several European countries utilizing Scania’s Next Generation trucks and operating solutions. The aim is to significantly reduce diesel powered vehicles and shift approximately 70 percent of HAVI’s total truck fleet to alternative fuels, for example, gas and hybrid models, by 2021 within several European countries. The CO2 emissions in deliveries by HAVI to McDonald’s restaurants utilizing Scania’s next generation trucks and operating solutions will be continuously monitored in real time, bringing existing fleet connectivity to the next level. This significant transformation of the fleet is expected to lead to CO2 reductions ranging from 15 to 40 percent for every kilometre driven, depending on route, fuel and traffic conditions. “Innovation is absolutely critical to our sustainability journey and to use our scale for good. Our work with companies like HAVI and Scania takes a proactive approach to finding and implementing more sustainable supply chain solutions, and contributes to our global supply chain and sustainability strategy.” said Chris Yong, Global Logistics Director at McDonald’s. “Leaders in business have a responsibility to drive change. In this partnership we are setting a new standard for urban deliveries. We are not only discussing plans, but actually implementing measures here and now, to benefit the communities where we operate.” said Haluk Ilkdemirci, President, Logistics, HAVI. The gas- and hybrid trucks are designed to generate close to zero air pollution and significantly reduce carbon emissions in cities. The trucks are significantly quietier and along with the low-noise cooling equipment will help lower the impact of the deliveries made in city centres and elsewhere. Additionally, HAVI and Scania are developing a truck with special equipment to collect waste such as used cooking oil, plastic materials and cardboard from restaurants for recycling. This will help drive increased recycling while reducing the transport of normal waste collections, reducing unnecessary additional kilometres and therefore further reduce CO2 impact. Through this partnership HAVI and Scania are not only taking steps towards a sustainable future, but also taking action based on solutions and technologies that are available and ready to be implemented here and now for their customers, like McDonald’s. The collaboration will initially focus on Europe while similar approaches are also being explored for Asia. 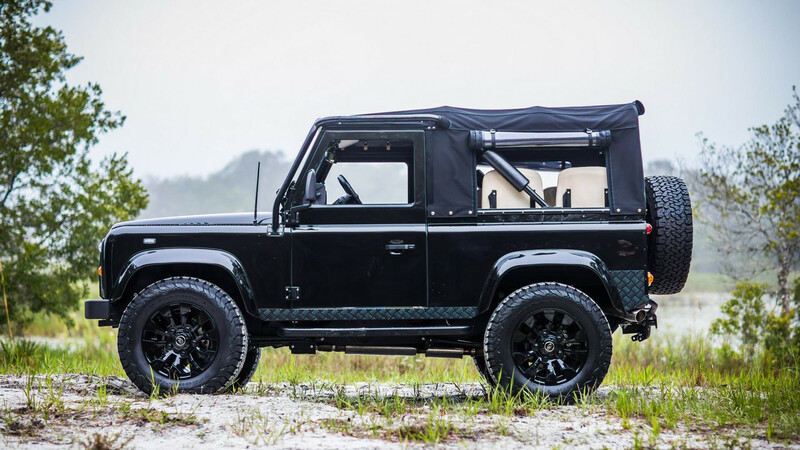 Built by Florida-based East Coast Defender, the “Honey Badger” follows the company’s previous “Project Sandstorm” project and has received more than just an engine transplant as it has been subjected to several other hardware changes like a revised transfer case with a limited slip differential, along with a Borla exhaust system In addition, the brake and fuel lines are now made from stainless steel and the stock wheels have been replaced by 18-inch set shod in BF Goodrich All Terrain KO2 tires. Rounding off the tweaks on the outside are the full LED front light and turn signals together with some subtle changes to the body and a rearview camera. 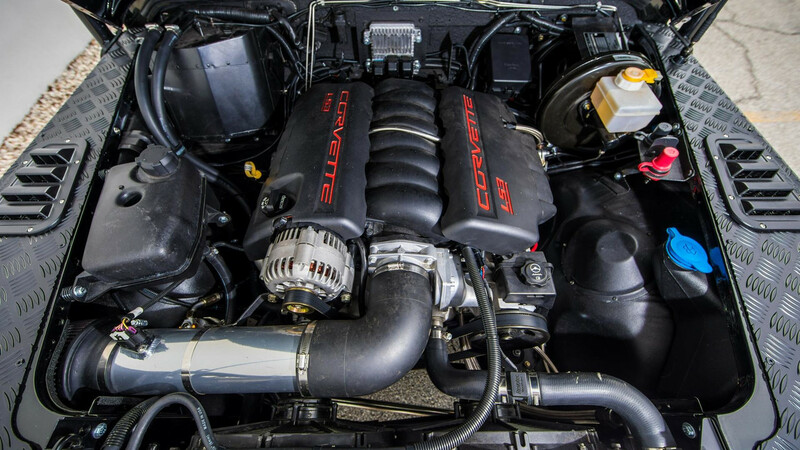 Unde the classic bonnet is a 6.2-liter Corvette engine with 430 horsepower mated to a T56 6-speed manual gearbox enabling this 4×4 iconic British vehicle to accelerate from 0-100km/h in less than 6-seconds, which is as fast as some Range Rover’s. 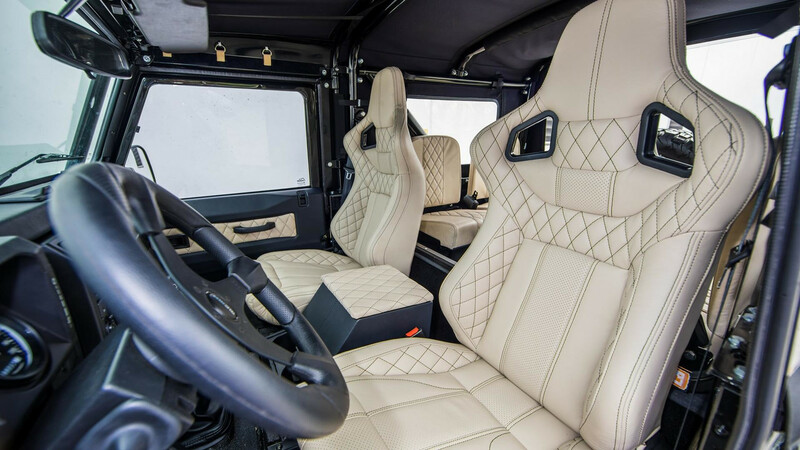 This Defender cabin now boasts a full roll cage, Momo steering wheel, and Corbeau seats wrapped around in ivory leather adorned with black stitching. In charge of providing the entertainment is a Kenwood infotainment system linked to a JBL sound system packing a subwoofer for that extra bass. Build cost? That would be a cool USD159,000. The 2,500,000th LCV to be manufactured by Renault’s Batilly plant was handed over to representatives of the Polish company TP Teltech at a special ceremony organised at the factory on Tuesday, June 27, 2017. TP Teltech SARL, a subsidiary of Groupe Orange Pologne S.A., specialises in the delivery of telecommunication and IT solutions and more than half of its fleet of 850 vehicles is made up of Renault models. Renault has been Europe’s number one LCV brand since 1998* and is the sector’s second-best seller in Poland. As of end-May 2017, Renault Master was the local market’s second most popular van with sales totalling 2,672 units. 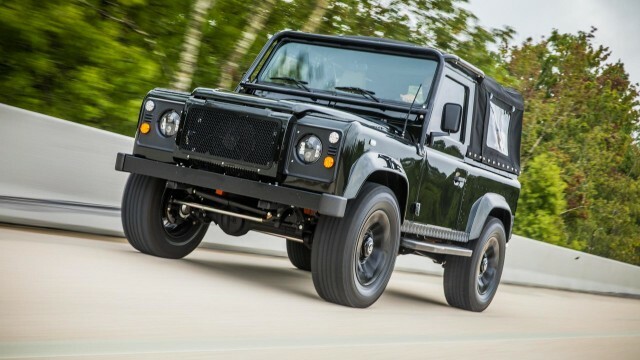 The Master range features a catalogue of ‘tailor-engineered’ vehicles, and more than 150 variants of the model are available in Poland thanks to a choice of four different overall lengths, three heights, four GVWs (Gross Vehicle Weight) and a comprehensive selection of types, extending from vans and crew cab vans, to chassis cabs, platform cabs, tippers and high-volume vans, plus front- or rear-wheel drive and carrying capacities ranging from to eight to 22 cubic metres. Rear-wheel drive L4H2 and L4H3 versions with single rear wheels targeting delivery companies and high-mileage users are now also available. Renault Master has topped the Polish chassis cab market since 2009 with a score of one-third of total sales in the segment. This version serves as a first-class base for conversions and a choice of more than one million configurations is available thanks to a network of approved conversion specialists across the country. Renault Pro+ addresses the needs of Renault’s business customers thanks to a broad variety of ‘tailor engineered’ solutions that cover the requirements of all types of businesses, tradespeople and traders. The Renault Pro+ network in Poland features 21 sales and services outlets. In 2017, for the second year running, Renault Master came out on top in DEKRA’s annual used vehicle report, emerging as the most reliable LCV in the ‘0km to 50,000km’ and ‘50,000km to 100,000km’ categories. Renault Master is made in Renault’s Batilly plant, the world’s biggest manufacturing facility for this type of van. The French site specialises in the production of big vans for Renault, Renault Trucks, Nissan and General Motors. It is one of Renault’s three LCV factories in France and today makes Renault Masters for Renault and Renault Trucks (64% of production), NV400s for Nissan, and Movanos for Opel/Vauxhall. Approximately 73 percent of its output is exported to other European countries and, in addition to France, Master’s biggest markets are Germany, the United Kingdom and Poland. Production has increased by 43 percent over the past 36 months thanks to three record-breaking years, the last of which being 2016 when 132,825 vehicles were made. 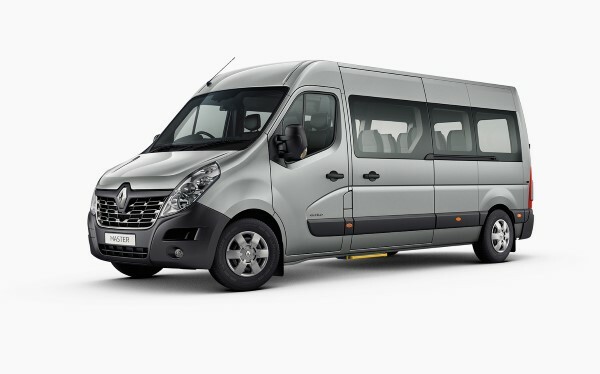 In total, 350 versions of Renault Master are available, with a choice between front- and rear-wheel drive and GVWs up to 4.5 tonnes. At the end of 2017, Groupe Renault plans to launch the all-electric Master Z.E. 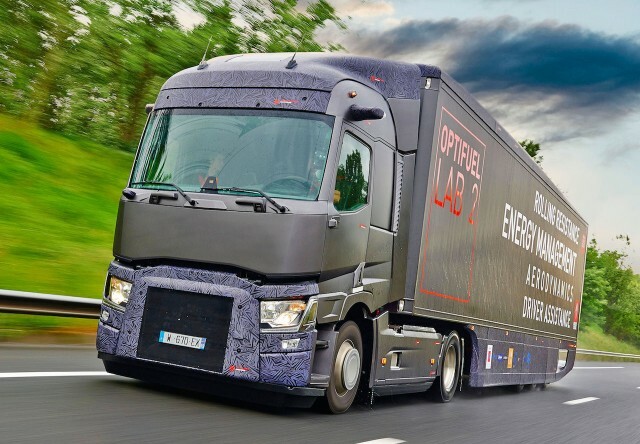 Renault Trucks is continuing its research into improving the energy efficiency of trailer trucks. The FALCON project has set out to develop a complete heavy goods combination to demonstrate an ambitious potential to reduce fuel consumption and therefore CO2 emissions through innovative design. 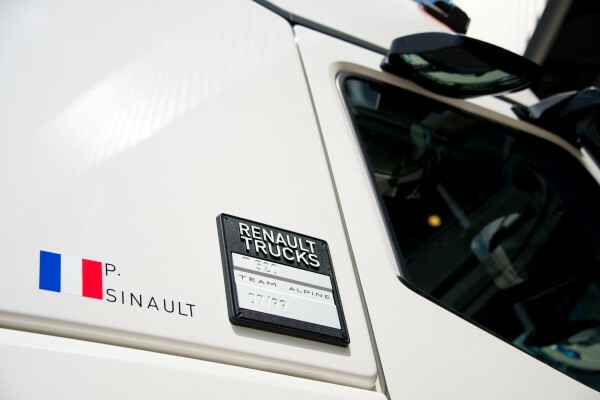 Lower fuel consumption is at the core of the development of Renault Trucks vehicles, which are designed to be profit centres for transporters. In line with Optifuel Lab 1 and Optifuel Lab 2, and more recently the Urban Lab 2 project involving distribution vehicles, Renault Trucks is now undertaking the development of a new experimental combination designed to consume 13% less fuel than a standard coupling towed by a Renault Trucks T.
The FALCON (Flexible & Aerodynamic Truck for Low CONsumption) project is led by Renault Trucks with a consortium of partners comprising Faurecia, Michelin, Total, Fruehauf, Wezzoo, Benomad, Styl’Monde, Polyrim, Enogia, the IFPEN, the École centrale de Lyon (LMFA) and the IFSTTAR (LTE; LESCOT). It is receiving financial support from the state via the FUI Regions fund. The technical developments are aiming to achieve a maximum client ROI of two years in normal operating conditions, with a view to starting production in the medium term. Developments are focusing on the optimised aerodynamics of the truck and trailer combination, connected low rolling resistance tyres and predictive energy-saving driving aid and fuel management functions, together with an improved powertrain using a new-generation Rankine heat recovery system and optimised lubricant formulations. With the exception of the Rankine system, this technology is set to be integrated into a demonstration vehicle and tested in real conditions at the end of 2018. 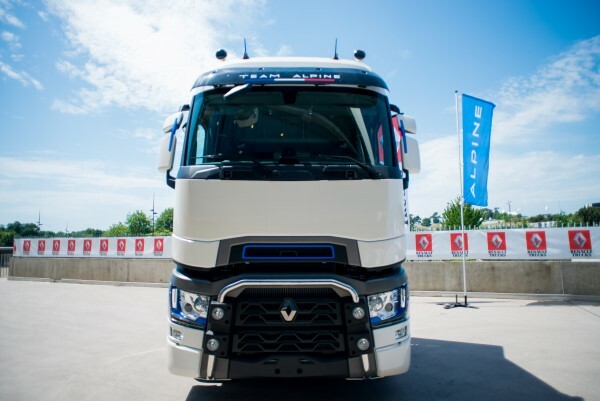 The Falcon project, which is due to end in 2020, offers Renault Trucks a new laboratory on wheels not only for assessing technology aimed at further reducing the fuel consumption of trailer trucks, but also in preparation for the requirements of future regulations, within the EU, on the CO2 emissions of heavy goods vehicles, together with the volumes, dimensions and tyres. Bus operator Nobina has ordered 13 electric Volvo buses, which will operate in Malmö from the end of next year. 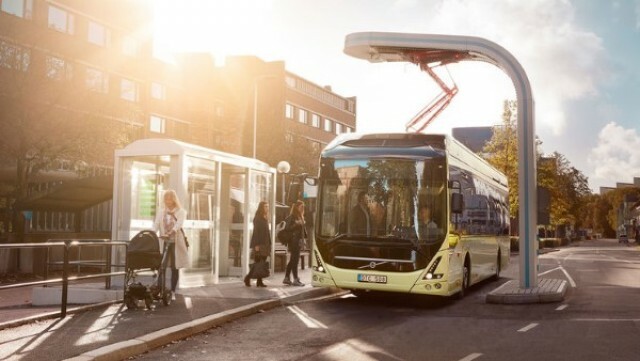 This is the biggest single order so far for the Volvo 7900 Electric and marks one of the biggest drives for all-electric bus traffic in Sweden. The new buses are of the Volvo 7900 Electric model. They use about 80 per cent less energy than corresponding diesel buses and will be powered by green electricity to minimise environmental and climate impact. The bus batteries will be charged at the route’s end stops, a process that takes between three and six minutes. The buses will run on route 7 in the city of Malmö, a distance of 14.7 km. Volvo’s electric buses recently started operating in the city of Differdange in Luxemburg. In addition to the all-electric Volvo 7900 Electric, the Volvo Buses range of electrified vehicles encompasses hybrid buses and electric hybrid (plug-in hybrid) models. All told the company has sold more than 3500 electrified Volvo buses globally. • Fully electrically powered, two-axle, 12 metre long city bus with low floor and three door openings. • 80 % lower energy consumption than a corresponding diesel bus. • Equipped with electric motor and lithium-ion batteries. • The batteries are charged at the end bus stops in three to six minutes *. *Charging time varies with topography, load and climate conditions. UK based remediation and recycling specialist, has taken delivery of a new Volvo FH16-750 Tridem 8×4 in order to meet the demands of transporting its increasingly large fleet of plant between sites. 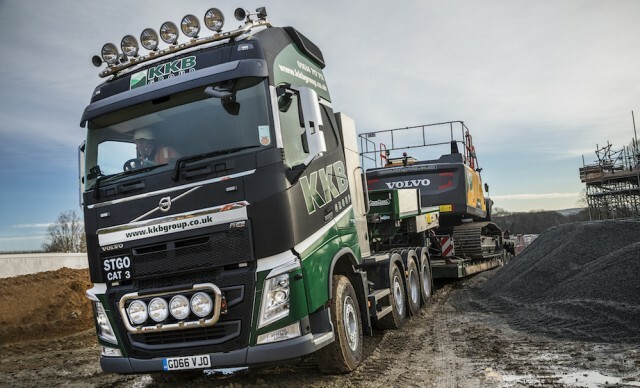 The top specification Volvo with all-round air suspension and steered pusher axle will be responsible for deliveries nationwide. “The D16K engine producing 750hp at between just 1600 and 1800rpm and delivering peak torque of 3550Nm at between 950 and 1400rpm makes this truck something special and just what we need for ever heavier loads.” Added Craig. “The incredible power is transmitted through the Volvo I-Shift automated transmission with enhanced software for off-road driveability and starting, which in conjunction with the ultra-low 32:1 crawler gear provides exceptional pull from stationary. I think this truck future proofs us for the next three years,” he concluded. Leading truck manufacturer MAN Truck & Bus UK has supplied recovery experts Lantern Recovery with a top-spec MAN TGX 26.560 6×4. It will be going in to operation as a commercial vehicle recovery unit largely covering London and the Home Counties. James Miles Ogden, head of business development at Lantern, said: “We run a fleet of between 150 and 200 trucks and other vehicles and we are impressed with the marque – all the MAN vehicles we have return good economy. 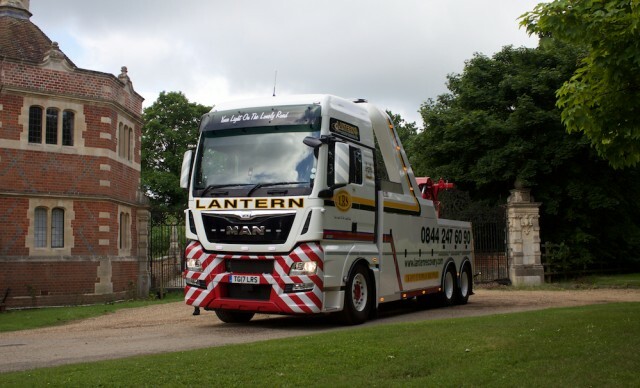 John Reynolds, MAN sales executive, added: With an average of 300,000 vehicle movements a year, including recovery and bulk moves, Lantern Recovery needs a fleet that is both reliable and efficient, and it knows that is what MAN offers. The new MAN TGX 26.560 will tow up to 90 tonnes and the truck with its XXL cab and leather seats it will provide a comfortable service to drivers who are facing the inconvenience of needing roadside assistance from Lantern Recovery. Renault Trucks UK has introduced a newly-engineered right hand drive Range T High, available from early 2018. 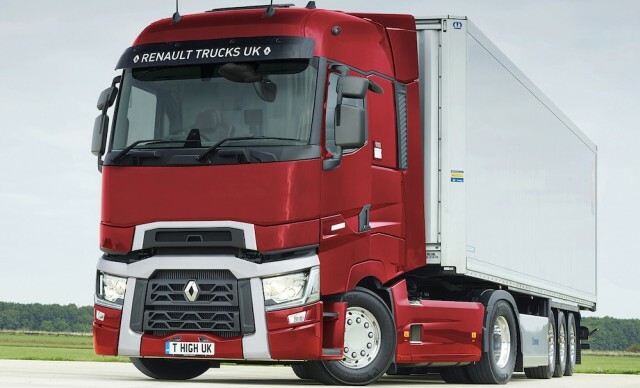 The flagship right hand drive Range T High with flat floor cab takes pride of place in the robust, efficient Renault Trucks line-up, driving new opportunities for the brand with long-haul operators and owner drivers. Superior levels of performance and comfort have come together in Range T High and are reflected in the specification levels available of the three core variants. ‘International’, featuring fabric seats with rotating passenger seat, flat floor, standard bunk and steel wheels, is available in 440hp and 480hp in 6×2 configuration only. ‘Driver’ comes with full leather seats with rotating passenger seat, performance lower and ultimate upper bunk, deep fridge, compact dashboard, Alcoa alloy wheels, aluminium suzie support and additional catwalk, and is available in 440hp, 480hp and 520hp. 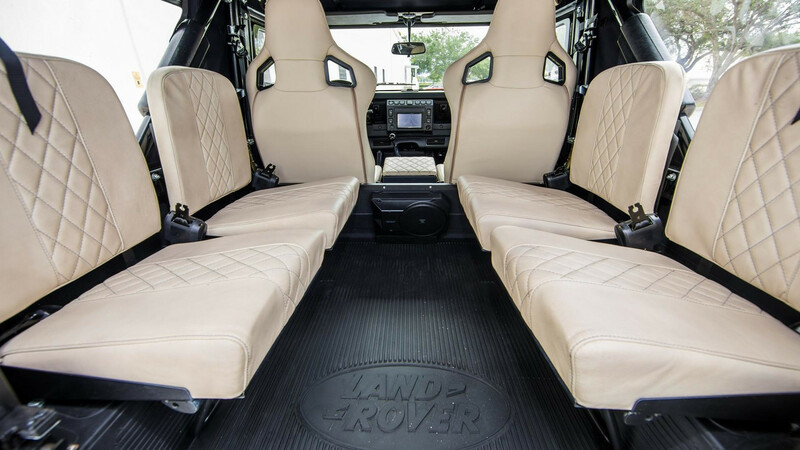 The top of the range ‘Driver Lux’ – available in 480hp and 520hp – is to luxury specification and additionally includes backrest, lockers, luxury curtains, laminated side windows and aluminium air tanks. To mark the 2017 24 Hours of Le Mans race, Renault Trucks is launching its new “T High Edition – Team Alpine” special series. 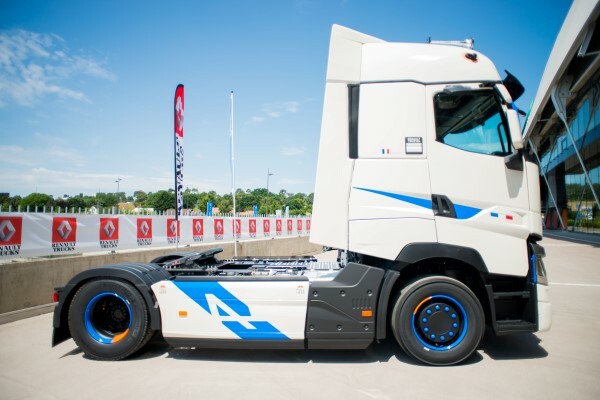 The T High is the flagship of the Renault Trucks long-distance range and for this special Team Alpine version, it has been fitted out with an array of equipment showcasing the colours of the French team. Limited to 99 numbered vehicles, this special Team Alpine series is now available for order. 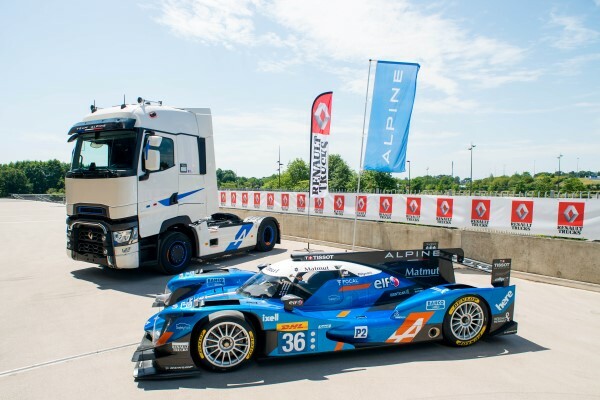 Following on from a first special T High Edition series unveiled in September 2016 at the IAA trade show in Hanover, Renault Trucks is this year launching a numbered series in partnership with the French Alpine car racing team, the 2016 LMP2 world endurance champions. 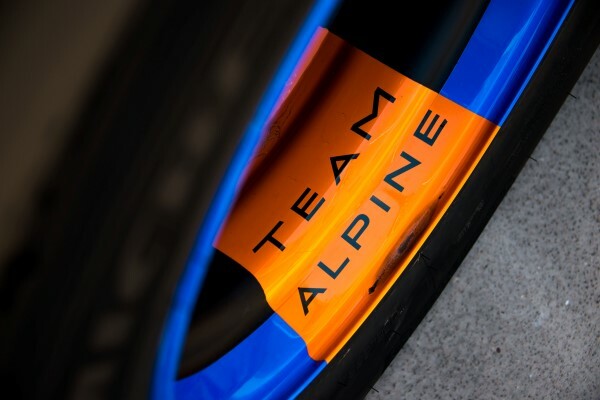 Inspired by the partnership between Renault Trucks and the Alpine racing team, the teams of designers have incorporated the aesthetic codes of the brand and paid attention to each detail on the vehicle to design a special series that symbolises French elegance and success. “We are proud to be unveiling this magnificent limited series in the colours of the racing team, which features the design codes of the Alpine brand. Just as the Alpine designers did a magnificent job on the Alpine production car, the artistic team at Renault Trucks has worked wonders to perpetuate French expertise and elegance,” enthused Philippe Sinault, founder of the Signatech-Alpine team. On the outside, the Renault Trucks T High Edition – Team Alpine stands out with its elegant white pearlescent paint, matched by a trim in the Alpine colours. The cabin design shows off the elegant details, with the rearview mirror stems and aluminium hubcaps sporting the iconic Alpine shade of blue, enhanced by subtle touches of orange. Inside, drivers are immersed in the same elegant sports design, with two-tone leather seats and a dashboard with aluminium trim reflecting the Alpine spirit. 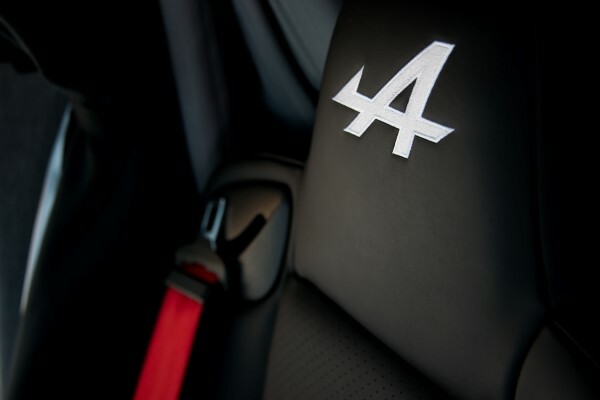 For additional driver comfort, the T High Edition – Team Alpine features two leather armrests and a finely perforated leather steering wheel. Other equipment designed to optimise on-board comfort includes a panoramic dashboard, removable back rest and extendable upper and lower bunks providing a more spacious rest area. The T High Edition Team Alpine is fitted with a 13 L Euro VI Step C 520 hp engine with a common rail injection system. To ensure optimal fuel consumption, it is also fitted with the Pack Fuel Eco+, featuring Optivision, the predictive cruise control system with Renault Trucks GPS. It also has aerodynamic features, such as opening fixed and side deflectors. 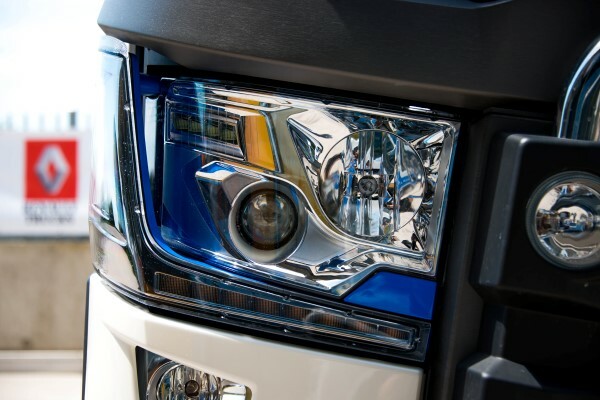 For maximum safety both for the driver and other road users, this special series includes the Pack Protect, featuring adaptive cruise control, additional cornering lights and Xenon headlamps.